This new home is located on a 4-acre property in the exclusive Community of Cordillera Ranch -located in the Texas Hill Country North of San Antonio. The new home focused on maintaining an open contemporary living arrangement with the connection to the Texas history of Ranch homes. Located toward the back of the property to engage a wet season creek, the hidden home offers a unique private family compound allowing for prevailing Gulf breezes to passively cool the home in summer months and offers amazing views to the adjacent open ranch land. 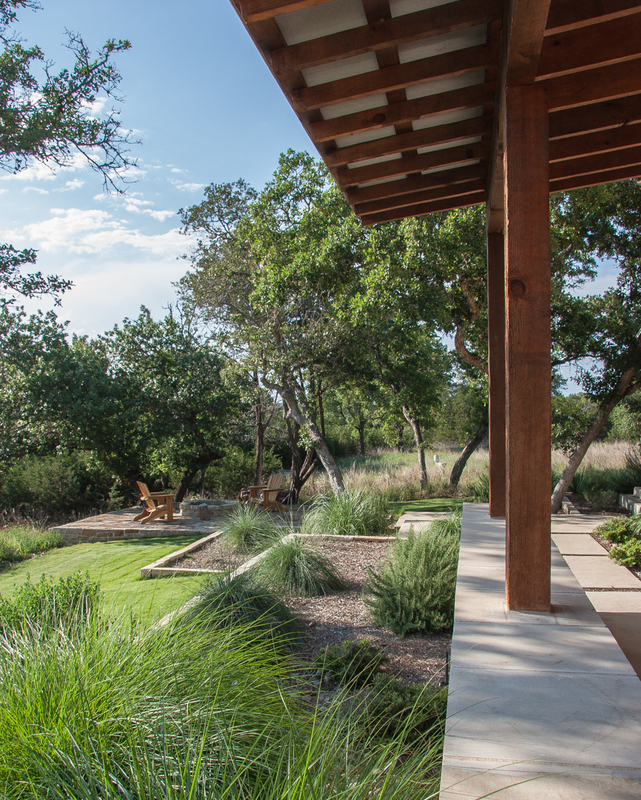 The unique architecture- with separate architectural elements with connected breezeways connects the house with its Texas ranch history but firmly planting its contemporary needs with an open floor plan complete with exterior porches on all sides of the home to interconnect with Texas Hill Country. 2009 AIA San Antonio Home Tour Selection "Town and Country"